The recent deadly attack on the Great Synagogue in Copenhagen has brought to light Denmark’s increasing anti-Semitism, an especially troubling trend in a country with a centuries-old, prosperous Jewish community and some of the world’s best socioeconomic indicators. Yet the Jews of Denmark, unlike their counterparts in France, have largely ignored Israeli Prime Minister Benjamin Netanyahu’s invitation to relocate to the Holy Land. As Danish Chief Rabbi Jair Melchior put it, “Terror is not a reason to move to Israel.” While this position may seem puzzling or even reckless to some, the shul attack should be looked at in the context of Denmark’s long history of tolerance towards its Jews. 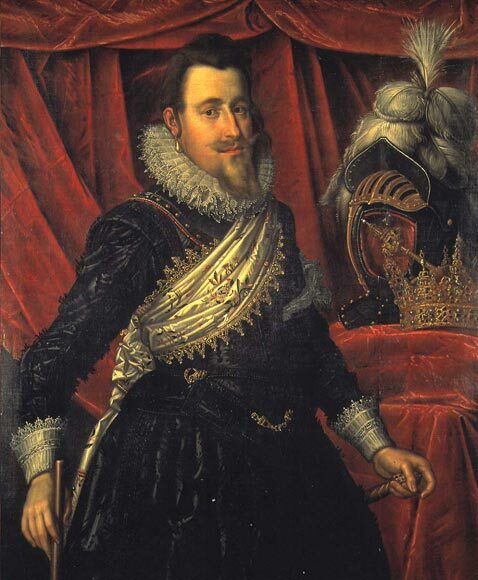 That history began with Danish King Christian IV in 1618, when he nominated a Sephardic Jew from Hamburg, Samuel Yakhiya, to be mintmaster of the new mint in Glückstadt (now in northern Germany). The king, pleased by Yakhiya’s work, accepted the mintmaster’s suggestion to invite more Jews into Denmark. In 1622, the king sent out invitations to Jews in Amsterdam and Hamburg to settle in his country. A limited number of Jews accepted the offer, and many of them set up successful trading and manufacturing businesses. Jews also served as financiers and jewelers to the royal court. Benjamin Mussafia, author of Talmudic reference guide Musaf Ha-Arukh, became the king’s physician in 1646, and his son-in-law became governor of the Danish West Indies in 1684. Also in 1684, the first Jewish congregation was founded in the capital of Copenhagen under the leadership of court jeweler Israel David and his partner Meyer Goldschmidt, both originally from Hamburg. Abraham Salomon of Moravia was nominated as the first rabbi of Copenhagen in 1687, but services were restricted to private homes until the establishment of the city’s first shul in 1795. The next century saw a continued influx of Jews into Denmark, though their number was limited by the need to obtain royal permission before entering the country. By 1782, there were just under 2,000 Jews living in Denmark. Danish Jews were granted civic equality and full citizenship in 1814 and 1849 respectively. In the mid-19th century, the Jewish community thrived and more than doubled in size to 4,200, but later shrank to 3,500 due to intermarriage and a falling birth rate. Zionism found a home in Denmark when the country’s first Zionist organization, Dansk Zionistforening, was established in 1902. The World Zionist Congress made Copenhagen its temporary headquarters during World War I.
Jews in Denmark at this time were well integrated into Danish society. Some of the most famous among them include finance minister Edvard Brandes, parliamentarian Herman Trier, and physicist Niels Bohr. Just before the start of World War II, there were around 6,000 Jews in Denmark, with another 1,000 Jewish refugees arriving from Germany in 1940. Though Denmark fell under Nazi control in April 1940, Danes from virtually every segment of society resisted orders to persecute their Jewish neighbors. The Nazis decided to wait until a more opportune time to press the issue. However, with increased Danish resistance in August 1943, the Nazis retaliated by cancelling the Danish-German agreement that protected Jews from deportation and guaranteed non-interference in internal Danish affairs. Martial law was declared and the Nazi representative in Denmark, Werner Best, openly called for deportation of the Jews to concentration camps. One person in particular was crucial to the rescue of Denmark’s Jews: Georg Ferdinand Duckwitz. A local Nazi shipping official, Duckwitz travelled to Germany to persuade his government to annul the deportation order. When he was turned down, he flew to Sweden and received the promise of Prime Minister Per Albin Hansson to take in Danish-Jewish refugees. Duckwitz later returned to Denmark and tipped off a politician Hans Hedtoft, later to become prime minister, about the timing and location of the soon-to-come Nazi deportation. Hedtoft warned the Jewish community and a rescue organization was quickly set up. Nazi persecution officially came to Denmark on Rosh Hashana (October 1), 1943 when around 500 Jews were rounded up and sent to Theresienstadt, including 19 that were sent willingly by the Danish government. Former Prime Minister Anders Rasmussen apologized for this action in 2005, saying it was “a stain on Denmark’s otherwise good reputation.” An estimated 2% of Danish Jewry was lost in the Holocaust, mainly in Thereienstadt, though many more would have been lost were it not for the Danish government’s intense pressure on the Germans to free the Jews they had captured. An estimated 7,220 of Denmark’s 7,800 Jews found refuge in Sweden thanks to the heroic efforts of their countrymen, as well as Duckwitz (one of the very few Nazis to be counted among the Righteous Among the Nations). Villagers in seaside towns hid Jews while feigning ignorance when questioned by the Germans. Though some fishermen charged exorbitant rates to ferry Jews across the Baltic Sea, many were happy to help even the poorest of Jews gain their freedom. As Lidegaard says, “Danish democracy mobilized itself to protect the values on which it was based.” For most Danes, helping Jews was merely a matter of fulfilling one’s basic duties as a citizen. Even in the charming seaside town of Gilleleje, which was the escape route for a full one fifth of Danish Jews, the local museum speaks humbly about the town’s heroic efforts, placing them between displays about the region’s Ice Age and Viking histories. By 1968, the Jewish community had bounced back to its prewar levels, and the positive relationship has, notwithstanding recent events, remained largely intact to this day. Denmark recognized Israel shortly after its creation in 1948 and has mostly supported it in the U.N. The two countries have a strong trade and tourism relationship. Many public spaces in Israel are named after Denmark and Danish leaders in honor of their actions in WWII. Indeed, given Denmark’s exemplary, centuries-old tolerance shown towards its Jews, the Jewish community’s desire to give their country another chance is understandable. However, they may just take Netanyahu up on his offer if Islamic extremism continues to spread.